Village Square – it’s all about access and food! Urban living just can’t get better than Village Square. 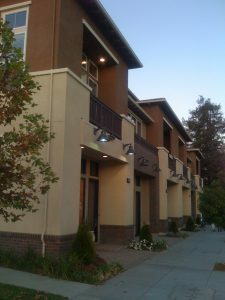 Â Modern homes close to downtown San Jose, Santana Row, downtown Campbell and much, much more. Â We’ve already shared how walkable Village Square rates as our highest WalkScore community. Now, you’re sure to enjoy all of the local food finds close to Village Square:Race street fish and poultry – this is the best place to buy fish and poultry! Â Bonus – it is super close to Village Square. Havana Cuba Restaurant – scrumptious Cuban food. Falafel Drive In – Diana at Village Square swears by the delicious food at this local find! Sliders – just in case you’re craving a delicious hamburger! We’re sure you’ll enjoy all of these plus nights out on the town when you come home to Village Square. Â Did we miss a local food find? Â Please share it in the comments.